Gower College Swansea scooped two awards at the recent AAC Apprenticeship Awards in Birmingham. 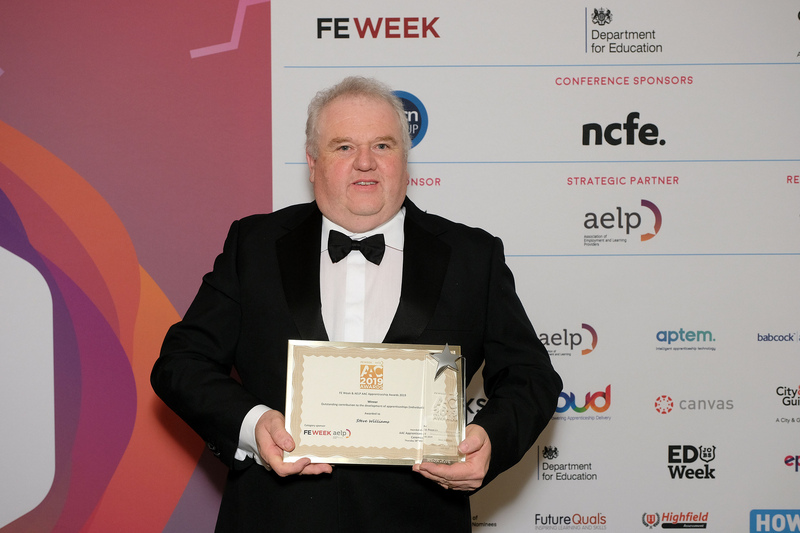 This is an incredible achievement, as more than 350 entries were submitted in total from UK colleges, training providers and employers for this prestigious event, which was organised by FE Week and the Association of Education and Learning Providers. Gower College Swansea - the only Welsh finalist – was shortlisted in two categories, and took home both titles. The first award was for Health and Science Apprenticeship Provider of the Year, given in recognition of the College’s development and delivery of an innovative apprenticeship pathway for laboratory and science technicians, working alongside major international employers such as Tata Steel and Vale Europe. "We’ve always felt that where we really stand out from the crowd is with the development of apprentices ‘beyond the syllabus’ in order to meet the needs of our employers, so winning this award is a fantastic endorsement of that strategy,” says Director of Skills and Business Development, Paul Kift. The second success of the evening was in the Outstanding Contribution to the Development of Apprenticeships category and that individual honour fell to Curriculum Leader for Electronic Engineering Steve Williams who, over the course of his 30 year career, has continuously highlighted the benefits of apprenticeships to learners and employers alike. “Steve is a fantastic ambassador for Gower College Swansea and for the sector as a whole,” says Paul. “He has worked tirelessly to raise the profile of the College and of apprenticeships and has been a hugely important and supportive role model for generations of learners.